Students and fans said goodbye to one of the homes for Northwestern University’s sports on Sunday as Welsh-Ryan Arena in Evanston hosted its last game and long-planned renovations will soon begin. Part of the farewell: crazy costumes for the regular basketball season home finale. Two fans stole the show with their onesies. “We’re two goofy guys just trying to have fun at the game,” said Matt Zients, a first-year student at Northwestern. Zients had never worn a costume to a basketball game until that final game. (See photo below). Students typically wear face paint, school colors and anything with the words “Wildcats” or “Northwestern” on it, but for this weekend there was cause for more creativity. 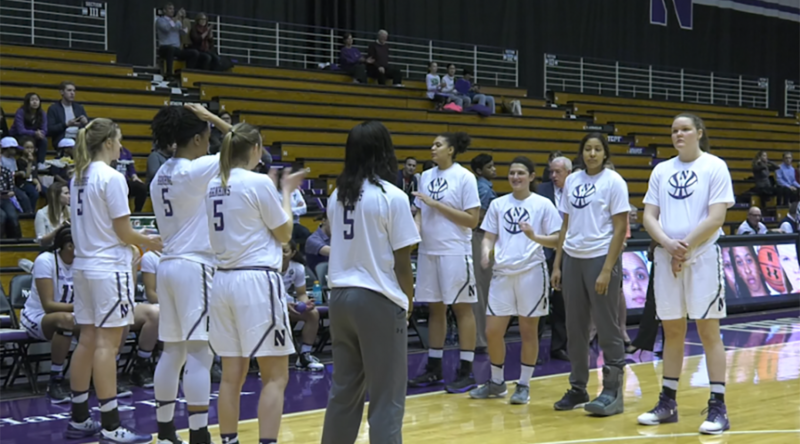 Now that the regular season is over, the Northwestern women’s basketball team is headed into the 2017 Big Ten Tournament. The Wildcats play Iowa March 2 at noon C.T. on the Big Ten Network. The winner will advance to play no. 1 seed Ohio State on Friday. That game will also be televised on the Big Ten Network. The Big Ten Tournament begins March 1 in Indianapolis and runs through March 5. The ‘Cats will need to win the Big Ten Tournament to earn a berth to the NCAA Tournament. Chicago is making history with its record-breaking warm temperatures. The warmth continues for a fifth consecutive day and residents are out enjoying the sun. Wednesday could see a high of 70-degrees, then Thursday will be much cooler compared to these last few days. Midwest residents travel to Washington for Women’s March Saturday. Marching in downtown Chicago for the Women’s March this weekend might have seemed vital for many, but others thought it was far more crucial to march in the nation’s capital. Thousands of Midwesterners traveled to Washington Saturday joining an estimated 500,000 protesters on the National Mall. Women and their families throughout the states of Illinois and Michigan prepared all of last week for these trips. 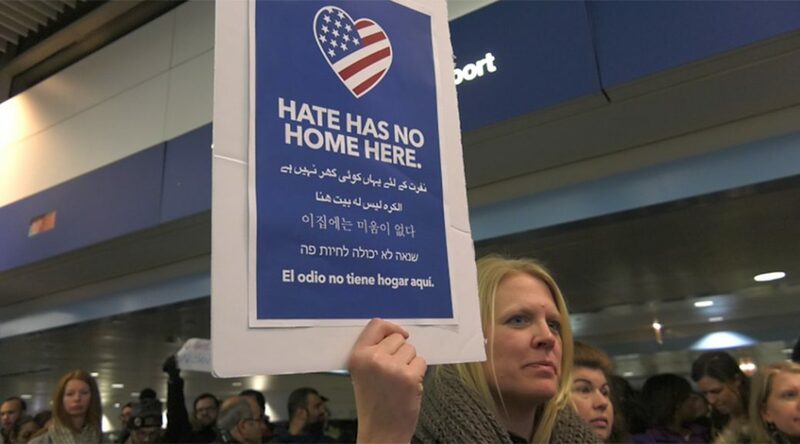 Thousands of protesters descended on airports across the United States — including Chicago’s O’Hare — last weekend after scores of international travelers were detained following President Donald Trump’s travel ban on refugees and citizens from several countries. The executive order signed on Friday barred Syrian refugees from entering the U.S. for an indefinite period and blocked citizens of seven Muslim-majority countries from entering the U.S. for 90 days. The order, called “Protecting The Nation From Foreign Terrorist Entry Into the United States,” is intended to keep what Trump calls “radical Islamic terrorists” out the country. The order temporarily restricts entry to the U.S. from citizens of Iraq, Iran, Libya, Somalia, Sudan, Syria and Yemen. On Saturday, thousands of protesters filled Chicago’s O’Hare International Airport, shutting down all traffic to the international terminal. The protests erupted again on Sunday. On Saturday night, Federal judge Ann Donnelly in New York, where there were large protests at JFK Airport, temporarily barred deporting new arrivals, stating that refugees and others being detained should not be sent out of the country. In Chicago, protesters at O’Hare continued until the detainees were released. For some of the protestors, Trump’s order affected them personally. What many south side Chicagoans liked the most about Barack Obama is that he lived down the street: accessible, real and humble. Unlike presidents of the past he had a house on a city street, like most of us. South-side resident Shawntavia Brazil explains why she had to be a part of this memorable experience.